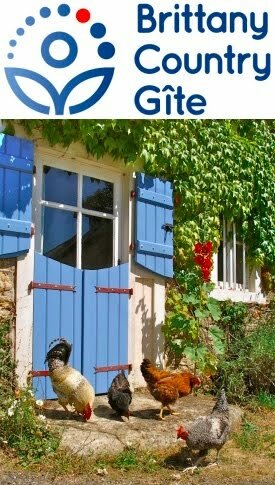 As I have previously claimed, in all our efforts to be “right on” in a green sort of way–permaculture and organic–I’m not a Luddite. 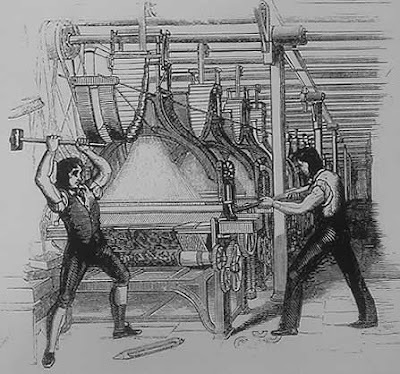 The Luddites were a group of British workers in the early nineteenth century who destroyed wool and cotton mills, in the belief that new labour-saving machinery would diminish employment, particularly for skilled workers. The term has come to describe anyone who opposes new technology. Things got serious and seventeen men were executed after a trial in 1913. Now, in the department of pneumatic wheelbarrow tyres, I’ve got equally serious: I might even sell my green soul to the devil to get hold of a wheelbarrow tyre that doesn’t get punctured at least twice a week. After repairing just one too many tyres (we have two wheelbarrows) I nursed one through a week or so of slow puncture until, when it finally called time and I pulled out the inner tube, I used up a whole bicycle tyre repair kit on one tyre…enough! I’ve asked friends and neighbours and, although they suffer the odd puncture, it’s not on the same scale, so I’ve struggled to elicit much sympathy. I think what did for us was our permacultural efforts to recycle all the hedge trimmings last year when the electricity company arrived unannounced one day to cut the hedge along the side of our land which was getting high enough to bother the electricity lines. Plenty of blackthorn and hawthorn went through the chipper and plenty of puncturing thorns now litter our land. Gabrielle’s heard too much swearing when I’ve discovered a new puncture or when I’m trying to repair one. 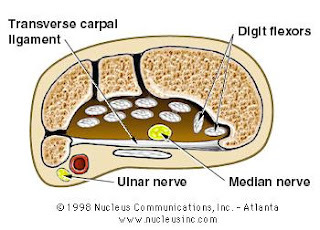 I’m suffering from carpal tunnel syndrome at the moment and am waiting for an operation on both wrists. One of the symptoms is a lack of feeling and the other day I repaired and refitted a tyre four times, almost passing out with frustration, before Gabrielle, with her soft, sensitive, female hands, found the errant thorn, just a tiddler (which I couldn’t feel) which kept re-puncturing each repaired tube. It was then, at that absolute zenith (or rather, nadir) of frustration, when I was at my most deflated, Gabrielle asked whether anyone had invented the puncture-less wheelbarrow tyre and, if not, someone should invent it bloody quickly. of said wonder-tyre and Gabrielle's recent trip to England. It’s now here, fitted, and it’s sooooooo good. I positively look for sharp things to drive my wheelbarrow over now and laugh in the face of thorns and nails, barbed wire and anything else that’s halfway pointy. But, just before we consign the Luddites to the rubbish bin of history’s losers, read my next blog to learn why I want to sell my petrol strimmer to buy an old-fashioned scythe, and why I think the hay fork just the most well-designed and simply effective device to perform its task and how I came to enjoy tossing a field full of hay, despite having hay fever! 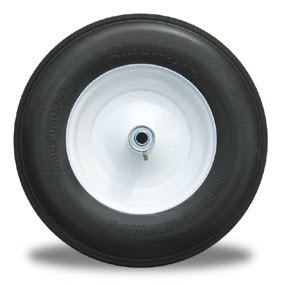 A Luddite could have told you that the original punctureless wheel was invented years ago - it was made of wood and is still available; http://www.maplewood-farm.com/merlewood.htm. Can't wait to read about you tossing in a field full of hay! I'm sure I've seen wheelbarrows with a large plastic ball instead of a wheel (yes, I know it sounds silly). I can't remember where, but as I only shop in "Bricomarche" or "Michigan" it was probably one of those. Either that or a supermarket. They do look a little odd, but as there's no tyre, no air, etc, there's nothing to go wrong! About the Luddites, you can found an article, sorry in French "La révolte des Canuts". It was in november 1831, in Lyon.